The top 50 UK event agencies demonstrated strong resilience in 2009, with 76% reporting pre-tax profits for the year, according to C&IT's State of the Industry report. Despite facing challenges including client budget cuts, perception issues, event cancellations and redundancies, of the 41 UK event agencies that supplied profit and loss figures for 2009, 38 reported pre-tax profits. Just two agencies reported a loss and one agency broke even. Meanwhile, seven agencies were unable to disclose profit and loss figures, and two agencies would only supply figures for 2008. Leading in the profitability stakes is Motivcom, which owns P&MM, Zibrant and AYMTM, and is expected to report a pre-tax profit of £3.6m for the 12 months to 31 December 2009, according to a forecast from broker Numis. BSI Meetings & Events expects to report a profit of £3.2m for the 12 months to June 2009, while Universal Procon, World Events, TRO, W&O Events and Euro RSCG Skybridge all expect to report pre-tax profits of more than £1m for 2009. While turnover and profit decreased for some agencies, others recorded growth. Motivcom executive director Nigel Cooper said: "Perception has damaged the business and stunted growth. We are ahead, but we're not where we should be. While we will have a record profit, we are probably 25% down on where we could have been were it not for the reaction of the national media." 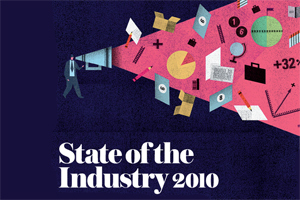 State of the Industry 2010: Destinations - home or away?